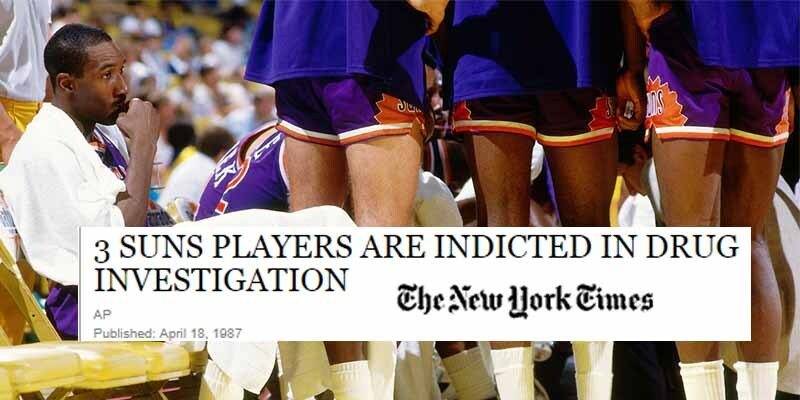 In 1987, the Phoenix Suns had three players indicted for drug charges including conspiracy to possess and conspiracy to transfer cocaine and marijuana. James Edwards, Jay Humphries and Grant Gondrezick never ended up going to trial, getting off with drug-treatment and probation, but it gave the Suns a bad stigma for years to come. The man responsible for it all was Walter Davis, the Sun who blew the whistle on his teammates, which is why the scandal was dubbed “Waltergate”.